Does Isolation Increase a Senior’s Risk for a Chronic Illness? | Full Circle Home Care Inc. Does Isolation Increase a Senior’s Risk for a Chronic Illness? Healthcare professionals who work with older adults have long believed that isolated seniors experience medical issues at a far greater rate than their more engaged peers. Now, there is evidence to support these views. Research shows isolation is a serious health risk for older adults, and the problem is growing, with an increasing number of Canadians experiencing isolation regularly. The good news is research consistently shows that feeling connected and involved benefits both mental and physical health—and there are several ways to get started. Older adults who are isolated are also at increased risk for becoming victims of fraud and scams. If you are an adult child or family caregiver, it’s important to understand the difference between being lonely and being isolated. While loneliness can create health risks for seniors, isolation occurs when a person lacks opportunities to interact with people and is linked to early mortality. What Causes Isolation, and How Can You Overcome It? The loss of a spouse or long-term partner puts seniors at high risk for both loneliness and isolation. Seniors often find it difficult to go from being part of a couple to being alone. Helping them connect with a support group of widows and widowers is one of the best ways to overcome this challenge. Engaging with peers who understand and share their struggles—and whom they may enjoy socializing with—could provide them with a renewed sense of confidence and desire to reconnect with their community. As we grow older, our group of friends often shrinks. Friends move away to be closer to their families, and retirement frequently means the loss of work friends. Helping an older adult make new friends and encouraging them to get involved in community activities is vital to overcoming isolation. Volunteer work is one idea to consider. 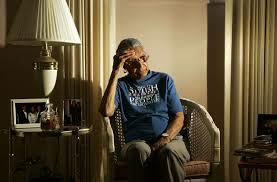 Another common reason older adults become isolated is a lack of affordable transportation. If your loved one has given up driving, they may be struggling to find options for getting around town. The good news is that there are more choices today than ever before. Companies like Lyft and uberASSIST make it quick and easy to secure a ride to attend an event or run errands. You can also call Full Circle Home Care and ask for a list of reliable transportation providers. At Full Circle Home Care, our Senior Connect™ Technology allows you to remain in touch with your loved ones even if you can’t always leave your home. Whether it is with a video call or the sharing of pictures, you can remain engaged every day. For more information on the Senior Connect™ Technology, go to www.seniorconnect365.com.